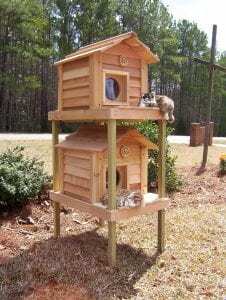 Our insulated cat house is designed specifically for both domestic and feral cats. 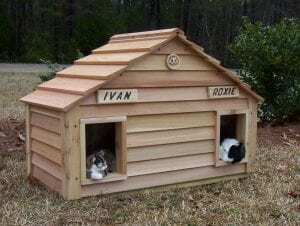 They’re just the right size, not too big, not too small, for one or more cats to lounge comfortably. 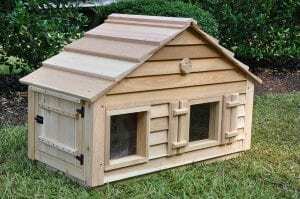 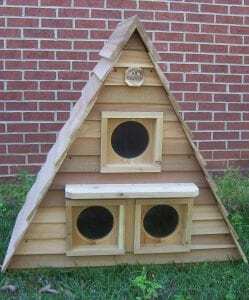 In addition to single cat houses we have the Cool Cat Cottage which can accommodate multiple cats and has fun features that your cats will enjoy, as well as the Triplex Cat House which features 3 compartments, and a removable partition. 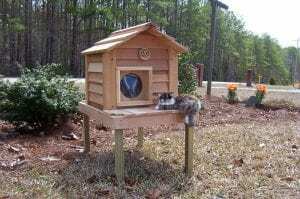 Each insulated cat house is special, and designed for maximum cat comfort and fun. 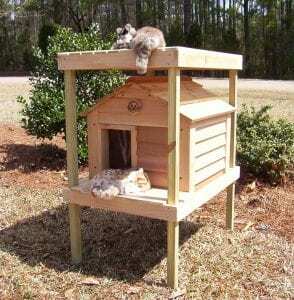 Some of our models have inside lounging ledges, lookout windows, lofts, decks and raised platforms. 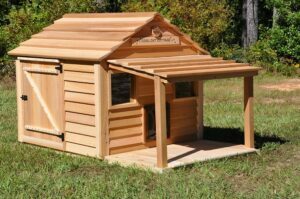 When you order one of our cat houses, you’ll find a number of options you can add at the time you order, like heated pads and a clean-out door for your convenience. 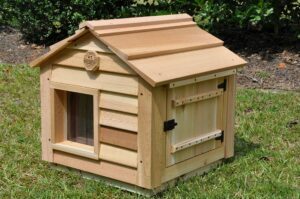 Our outside cat houses come standard with insulation and are made of durable western red cedar and pressure treated wood to ensure they’ll last for decades. 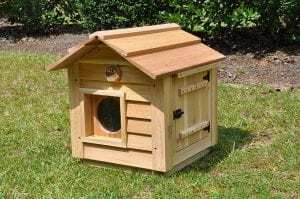 Our craftsmen build each house to order. 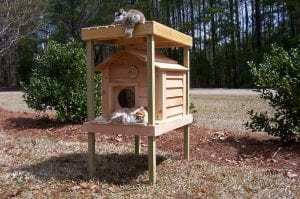 The included vinyl flap protector door will help keep out wind and rain so your cats will be dry and cozy all year round. 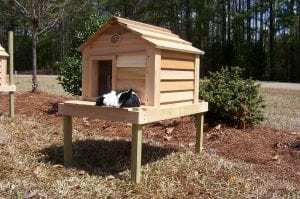 When you order an insulated cat house from Blythe Wood Works there will be no surprises when you’re done customizing because our shipping is FREE to the contiguous United States. 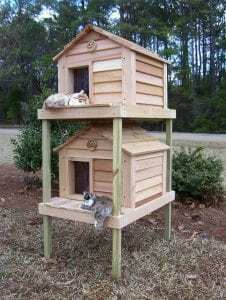 Other shipping options available for cat lovers outside of that area.